Set of 2 Baskets. 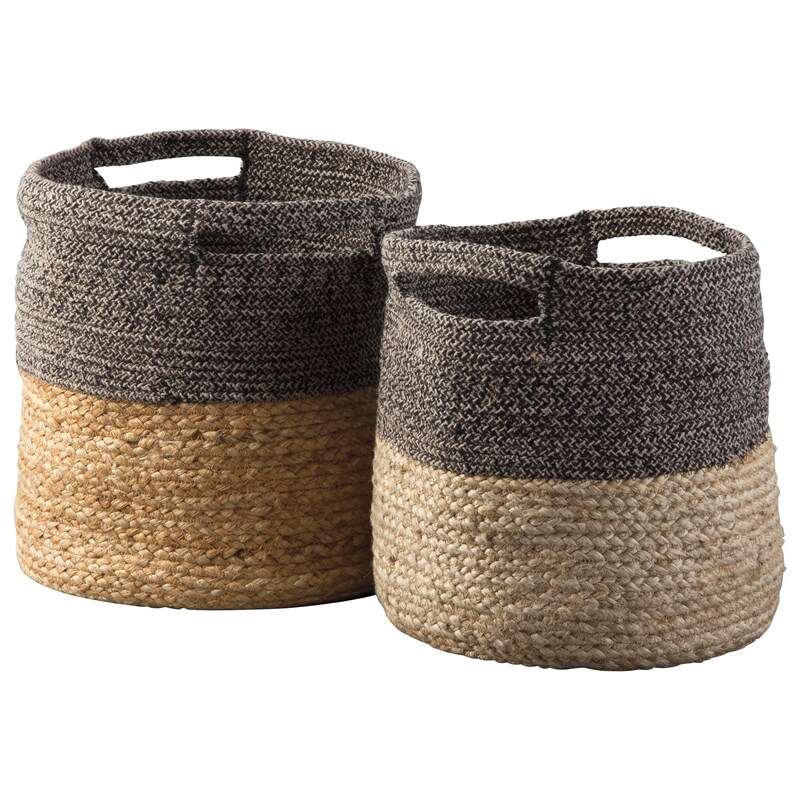 Braided Black Cotton and Natural Jute with Handles. Basket-large 13.00" x 13.00" x 13.00"
Basket-small 11.00" x 11.00" x 12.00"
The Accents Parrish Natural/Black Basket Set by Signature Design by Ashley at Royal Furniture in the Memphis, Nashville, Jackson, Birmingham area. Product availability may vary. Contact us for the most current availability on this product. The Accents collection is a great option if you are looking for Global Casual Accents in the Memphis, Nashville, Jackson, Birmingham area. Browse other items in the Accents collection from Royal Furniture in the Memphis, Nashville, Jackson, Birmingham area.